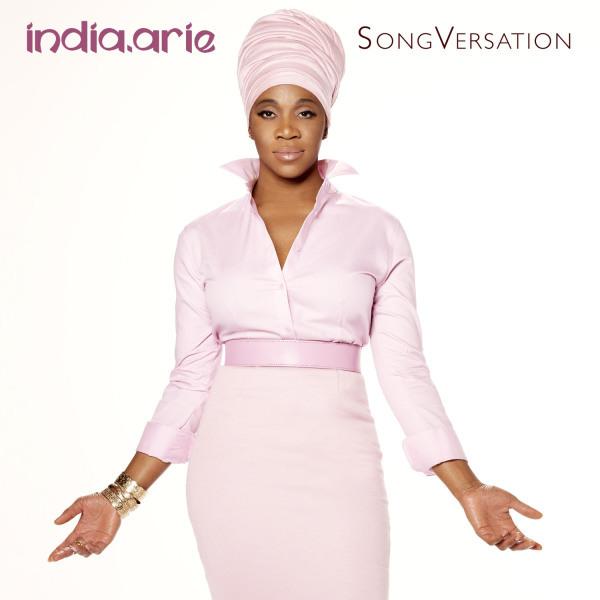 On June 25th, India Arie released her 5th studio album, SongVersation. Returning from a 4-year hiatus, it feels like she has spent those years searching herself and becoming fully comfortable with the person she found. Akin to a Native American Spirit Walk, India Arie has returned with a new strength, a new conviction, and a renewed spirit. And with this new India, we get some new sounds and risks. The obvious musical influences for the album range from R&B to soul to country to African to jazz to reggae. And where else would you record an album that spans the globe like that other than Turkey? She opens up like never before (that’s a lot when you think about her body of work), and she expresses a new level of freedom. In the end, she is the perfect spokesperson for embracing yourself and sharing that person with the world. Just a taste of what is to come on “SoulBird Rise”. India Arie has made a habit of these interludes, and while they seemed to work well on her previous albums, this one actually feels a bit random and unnecessary. This song has quickly become my favorite of the whole album. It is one heck of a way to kick off a new album. Though not known for her upbeat songs, Arie takes full control here and shows complete authority. If you’ve ever needed a kick in the pants to go after your dreams, India gives it to you in 3 minutes and 12 seconds. Flying out of “Just Do You”, India slows it down with a mellow number about love. Every artist on this planet has recorded a song about love, but Arie can package and communicate like no one else. She hits love from every angle, backed by a piano and a selection of strings, without getting too sappy or cliche. The thumping bass of the chorus keeps an earnest, driving pace throughout the song. Instant winner. India Arie always finds the space for fun songs like this on her albums. The content is light, and the musicality is playful yet relaxing. It’s perfect for listening to with your loved one, and it’ll put a smile on your face. Traditionally, the phase “giving someone their flowers” refers to honoring them while they are alive. And India Arie croons around that subject with a Middle Eastern flair. She really flexes her vocal chops, soaring with the lofty notes of the chorus and delicately floating through runs. This song also is a great example of how India Arie is able to completely embody a feeling or emotion. Here, she intends to show appreciation, and it pours through every note. The lead single from the album, this song actually becomes even more impressive and affecting within the body of the album. You can read my earlier review of the single here, and my review of the video is here. Another interlude previewing “SoulBird Rise”. Equally as random. I think she just thought it would be cool (and fun) to record different takes on the song. It is clear that this song has deep roots. And the writing is really on another level with lyrics like “I love the fragrance of your voice; you’re the color of loyal.” As always, India can emote any feeling she desires. There is something in the delicacies and the breaks of her voice that just feels genuine. This song might leave you breathless on your first listen. I know I was. India effortlessly takes you right to the center of her pain and being, and it is a bit stunning. She shares the things that she struggles with in life (not finding love, living alone, not having children and the prospect of that being the life she’ll have to live), but also magically relating her pain to the individual pains that we all feel. A masterpiece. This one transitions right out of “Life I Know”, almost like a response. It’s all about embracing your fears, seeing them for the irrational beings meant to hold you back that they are, and truly living your life. Her lyricism stands out on this one, again, as well as her emotional connection. India Arie is a wise sage, and we are all blessed to be able to gain insight from her words and ability. Here we finally get the song that India Arie has been teasing throughout the album. And it really does deserve it’s place as the album’s centerpiece. Built off of the lyric “I believe in open doors,” India Arie calls for her inner self to take center stage. Production and simplicity maintain a respectful balance. Masterful storytelling and songwriting skills show up again, as the song steadily builds to its climax. This song could be seen as a risk or experiment with its reggae-inspired rhythm, but you don’t have to be a reggae fan to enjoy it. She lays her sultry vocals and calming spirit over that familiar groove and makes it her own while staying true to the genre. I wouldn’t call it a standout, but I also wouldn’t call it a detractor or distraction. Just a nice break from some of the heavier content. I love the message of this song: we are all responsible for each other. I could see how some might jump to conclusions and believe that this is all about women taking care of men, but I see it in a more general light. We are each others’ keepers. And in the face of what we each face everyday, we should be there for each other. Musically, this shows India Arie’s evolution that is so evident on this album. Whereas she mainly stuck to acoustic tools before, she dives heavily into more studio production. But instead of sounding like so many other acts on the radio, India Arie just uses those tools to enhance her sound. During her hiatus, India Aire claimed to be working on a project with Israeli musician Idan Raichel. The purported lead single from their project, Open Door, was titled “Gift of Acceptance”. The song was beautiful and the duo performed it publically a few times, but the project seemed to just fade away. Now, India Arie has repurposed the bulk of those lyrics for this song. The meaning remains the same (we are all different, but none of us has the right to pass judgment on anyone else), but the sound has been transformed. And even though I enjoyed the previous iteration, I believe that this version is an upgrade both in maturity and in lyrics. Another interlude, this time spotlighting the clarinet. This song plays just like a mantra (and truthfully, it wouldn’t be a bad way to start each day). I haven’t counted how many times she says the refrain “I am light,” but my the end of the song you’ll be believing that sunlight beams from your pores. Still, the message is so much deeper than that. India melodically instructs you on how to look past everything that has happened in your life and see yourself for who you are. If you’ve ever been in a rut or sunk into depression, this will lift you out. The last interlude, with a decidely more Middle Eastern touch. This type of song is somewhat of a departure for her since her body of work has heavily lent itself to love, heartbreak, and self discovery, but her gracious spirit feels right at home. I’ve heard my share of artists giving musical thank yous to our military, and India Arie effortlessly juxtaposes those here at home with those fighting wars in a way that is instantly epic and heartfelt. And the driving drums and bass match that sentiment. I love this simple song about being with the person you love. If you see New York as a representation of the world, the lyrics ring so true: “My favorite place in the Empire State is in bed with you.” When you love someone, nothing is better than simply being with them. India Arie has never done a song like this before. Not even remotely. And I must admit, this song took a few listens. I could not get with the odd pacing and phrasing. The production is very futuristic, almost electronic, and while she does an excellent job of painting a picture and capturing slavery, this is definitely not for everyone. But then again, that is what these deluxe albums are for. The core album is the artist’s offering to the masses, but the deluxe albums offer bonus tracks that might be a bit odd or different from the usual. This one is clearly jazz inspired at times, yet it almost sounds like a samba at other times. Not everyone’s cup of tea, but you know that she had fun recording it. The Final Verdict: India Arie is a master storyteller, and her artistic methods have such range and depth, it is astounding that she was able to capture it all on one album. SongVersation represents exactly who she is: Authenticity. Clarity. Sincerity. Passion. Transparency. Beauty. All of these words come to mind when I think of this album. It is chock full of songs proclaiming these messages, and with India Arie as the spokesperson, it’s hard not to want to buy what she is selling.